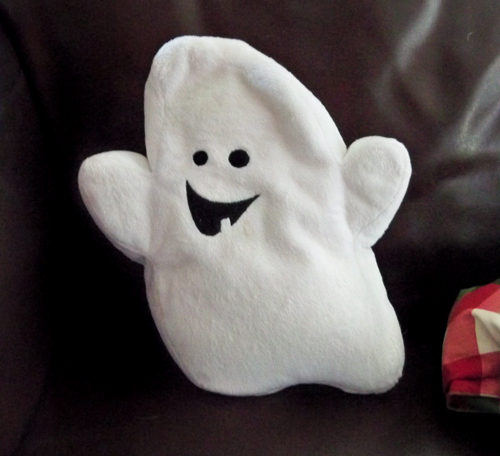 This is a little ghost pillow I have on our couch for Halloween. It's supposed to be for decorative purposes only. Stewie had a different idea. 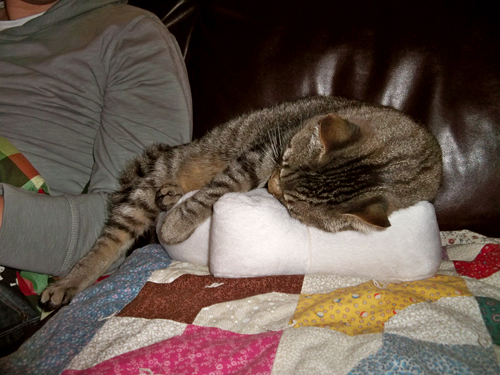 Honestly, the couch isn't soft enough he has to perch on the poor ghost pillow? It looks like he is laying on a marshmallow. It always amuses me to see what my cat decides is hers. I get her a cat bed, but she wont sleep on it. 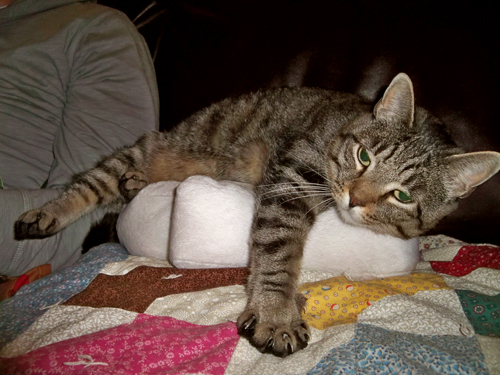 However my purses/bags I carry each day, apparently those make the best cat beds ever. I buy the catnip fish on a pole and she's afraid of it. But my niece's Halloween card, still in the bag, best thing ever to chew on and chase around the room. I got lucky and only the bag was torn, not the card or envelope. haha that's a cute ghost pillow with only one tooth! and it's even cuter to stewie lying on it! I love the way his little paws are spread out in the last photo. My cats do this when they are supremely content! How sweet is that? Apparently "decorative use only" doesn't apply to cats. Of course, very little in the way of rules applies to cats. Hah, it's so cute! My kitty totally needs one of these. It'd be perfect for him to have in his cat cube I'm thinking about getting him soon.